Thursday is Restoration Project Day! 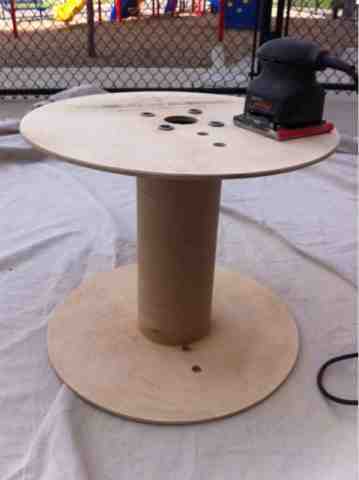 Today we power sanded spools such as this one and polyurethaned them. We'll reinforce them with wood and create end tables out of them.